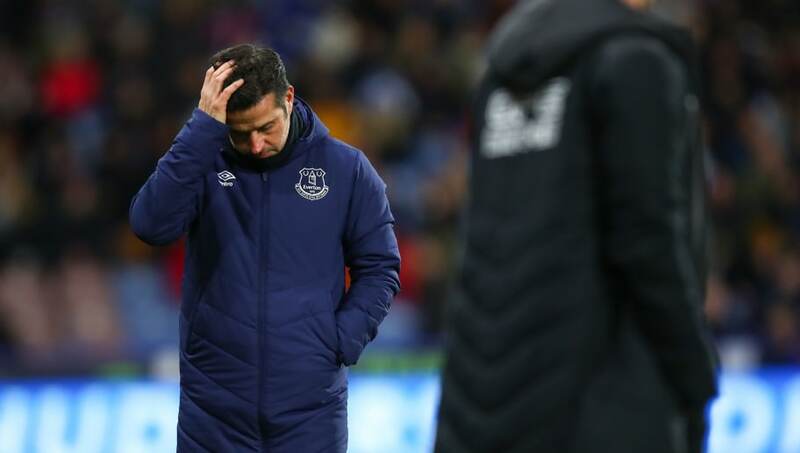 ​Everton boss Marco Silva has admitted that he's starting to feel the pressure over his job security, after his side slumped to a 3-1 home defeat to Wolverhampton Wanderers on Saturday. After a solid start to the season, the Toffees rapidly descended into a spell of wild inconsistency - finding it impossible to string more than two wins together. Silva's initial season ambitions of achieving Europa League qualification are still alive, but they'll need to sort out their rollercoaster form if they're to stand any chance of securing a top seven finish. Speaking after ​the defeat, via the Mirr​or, Silva admitted: "Of course, of course I understand that (I'm being blamed). I am not here to find excuses or whine about something, of course there will be questions about me. When everything goes well, they say good things about the manager and when something is wrong it is normal as well the manager gets pressure. “For me it is something you know happens. Of course I was angry (with the players). They have seen me many, many times this season angry with them. I'm here calm after the match with the media but I'm not the same in the dressing room - they have to understand even after the third goal came after another mistake; we have to react in a different way." The ​Toffees will look to bounce back on Wednesday evening, when they face the unenviable task of hosting Pep Guardiola's ​Manchester City. The Premier League champions ​ham​mered Arsenal 3-1 at the Etihad Stadium on Sunday, and they'll be desperate to narrow the gap on league leaders ​Liverpool with another all-important three points.